There’s no such thing as a private moment for this family who are captured on camera taking a stroll, creepily followed just a pace behind by what may be a demonic presence. Or maybe not. 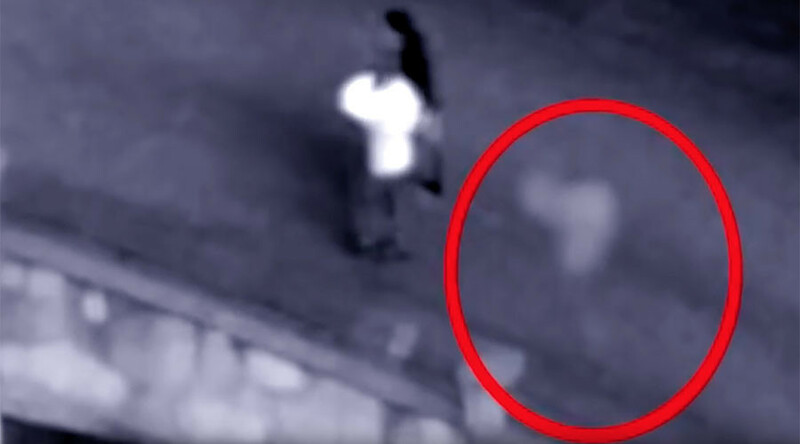 The video appeared on a Spanish YouTube channel claiming the family installed the CCTV camera after feeling a “demonic or ghostly” presence surrounding them. Days later their fears were realised when they played back the footage, showing a faint outline following them. Appearing after they have already entered the frame the figure strolls with them and exits the frame, probably to continue haunting their home. Uploaded by YouTuber Huelo el Miedo (I smell fear), who has over 20,000 subscribers, the video has been viewed over 100,000 times, although not everyone is convinced. Many have pointed out the likelihood of the “ghost” being a reflection of the man’s white clothing as the footage was filmed from behind glass. Little is know about the video, including where exactly it was filmed and if the family have a son named Damian talking to the devil. Maybe instead of buying a cheap camera lens they should see if they can make some pottery at home uninterrupted. Tell us what you think, should the family worry about ghosts or invest in a better camera lens?